Is The Steele Dossier Full Of "Russian Dirt" - Or British? 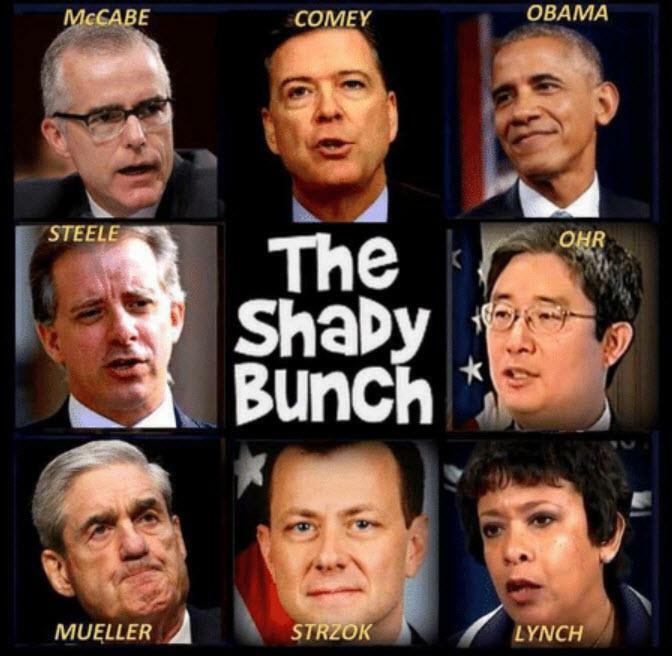 With text messages between US Justice Department (DOJ) conspirators Peter Strzok and his adulterous main squeeze Lisa Page now revealing that then-President Barack Obama “wants to know everything we’re doing,” it now appears that the 2016 plot to subvert the rule of law and corrupt the US organs of state security for political purposes reached the very pinnacle of power. To call the United States today a “banana republic” increasingly may be seen as a gratuitous insult to the friendly spider-infested nations to our south. Indeed, it’s not even clear the Russiagate investigation itself will be impacted. After all, the narrative may have flipped on one variable – from Trump campaign collusion to Democratic and FBI collusion – but the constant remains the same: Russia. Trump’s defenders are as insistent as his detractors that the real culprit is Russia! Russia! Russia! But what do we really know about Steele’s claimed sources? Not much. - ‘Even if he did, would these purported Russian insiders really have collaborated with this “former” British intelligence agent under what is so widely said to be the ever-vigilant eye of the ruthless “former KGB agent” Vladimir Putin, thereby risking their positions, income, perhaps freedom, as well as the well-being of their families? - ‘Originally it was said that his Russian sources were highly paid by Steele. Arguably, this might have warranted the risk. But subsequently Steele’s employer and head of Fusion GPS, Glenn Simpson, wrote in The New York Times that “Steele’s sources in Russia…were not paid.” If the Putin Kremlin’s purpose was to put Trump in the White House, why then would these “Kremlin-connected” sources have contributed to Steele’s anti-Trump project without financial or political gain – only with considerable risk? - ‘There is the also the telling matter of factual mistakes in the dossier that Kremlin “insiders” were unlikely to have made, but this is the subject for a separate analysis. But Steele isn’t the only limey link to #Dossiergate. In late 2016, after Trump’s election victory, Andrew Wood, a former British ambassador to Russia, told US Senator John McCain about the existence of compromising material on Donald Trump, according to Wood’s account to BBC4. Wood then set up a meeting between Steele and David Kramer, an associate of McCain’s. It’s unclear whether McCain already knew about the dossier at that point or whether Wood alerted the Senator to its existence. For what it is worth – not much – Wood states that McCain had obtained the documents from the Senator’s own sources. “I told him I was aware of what was in the report but I had not read it myself, that it might be true, it might be untrue. I had no means of judging really,” and that he served only to inform McCain about the dossier contents: “My mission was essentially to be a go-between and a messenger, to tell the Senator and assistants that such a dossier existed,” Wood told Fox News. Wood elsewhere relates that McCain was “visibly shocked” at his description and expressed interest in reading the full report. That doesn’t sound as though McCain had already obtained the dossier from his “own sources” but, rather, that Wood was the instigator. So which is it? Did McCain already know about the dossier, and if so how did it “happen” to get raised with a British diplomat? Conversely, was the initiative from Woods to induce the Senator – known to be a strong Trump critic as well as for his hostility to Russia – to pass the dossier on in Washington? Keep in mind that the dossier had already been used to secure a Foreign Intelligence Surveillance Act (FISA) warrant to monitor Carter Page, a peripheral asteroid in the Trump orbit, and that Trump had already been elected. By this time the conspiracy’s purpose had shifted from preventing Trump’s victory to tying down his incoming administration, especially with respect to blocking any opening to Moscow as Trump said he intended to do. What better way to set the cat among the pigeons than for a supposedly totally non-political British diplomat (certainly no intelligence officer, he!) to quietly peddle the material from Steele (whom Wood called a “very competent professional operator … I do not think he would make things up.”) to the right man in Washington? Finally, while it’s clear the dossier served to get a FISA warrant for American services to spy on the Trump campaign and later the transition team, US agencies’ might not have been the only eyes and ears monitoring them. Amid all the hubbub over Michael Wolff’s slash-and-burn Fire and Fury, little mention (other than a heated denial on the floor of the House of Commons, from the notoriously truth-challenged former prime minister Tony Blair, and from the relevant British agency itself!) has been made of the suggestion that the UK’s Government Communications Headquarters (GCHQ) – Britain’s version of the NSA – was spying on Trump and providing their sister agencies in the US with additional data. Keep in mind the carefully worded deflection last year from James Clapper, former Director of National Intelligence (DNI), that “there was no wiretap against Trump Tower during the campaign conducted by any part of the national intelligence community... including the FBI,” thus begging the question of whether Trump was spied on not by a US “national” agency but by one of the Anglosphere “Five Eyes” agencies – most likely GCHQ – which then passed the information back to their American colleagues. With Steele’s and Wood’s involvement, and given the virtual control of America’s manifestly corrupted agencies of their counterparts in satellite countries like the United Kingdom, involvement by GCHQ and perhaps other “friendly” foreign agencies cannot be dismissed out of hand. To be sure, in 2016 the majority opinion in Russia was that Donald Trump’s election would be preferable to Hillary Clinton’s for the simple reason that the former openly advocated better relations with Moscow while the latter was a notorious warmonger. But there was also a strong minority view, especially among more pro-Western elements of the Russian establishment, that Hillary – “the devil you know” – was preferable to rolling the dice on an unpredictable and unknown quantity. Plus, Hillary was delightfully corrupt, with the Clinton Foundation an open invitation for many foreign powers to buy influence. There was no ambiguity in the position of the British government, however. 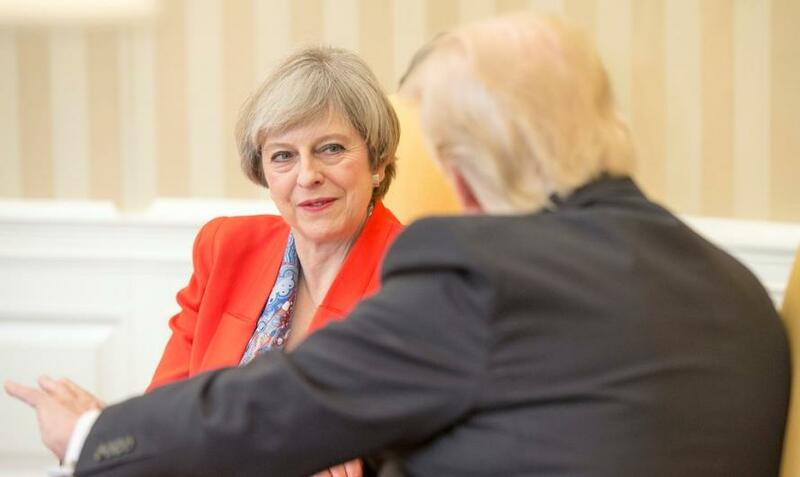 In 2016 Prime Minister Theresa May, like her German counterpart, made little effort to hide her disdain for the “just plain wrong” Trump and her preference for Hillary Clinton, whom she expected to win (as did most other observers). Why should anyone be surprised that her MI6 and GCHQ minions would share the same views and perhaps acted on them to provide some helping “hands across the water” to their US counterparts whose anti-constitutional conspiracy now stands exposed?